t*rexes and tiaras: I wear my heart on my sleeve..
As a treat for the end of a superbly successful long weekend at guide camp, we headed out into the rainy town after the most long-awaited showers ever to catch a movie. Dunkirk, to be precise. More on that later. 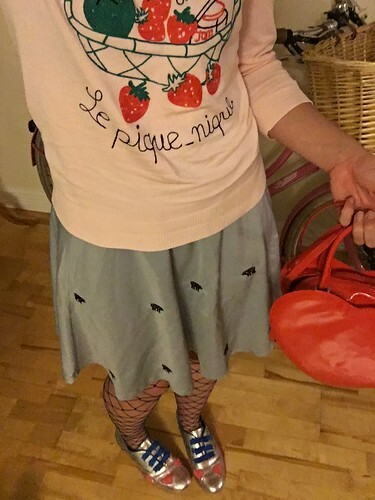 These shoes arrived just before I went away and I couldn't wait to wear them, so had spent the day planning an outfit in my head to go with them. 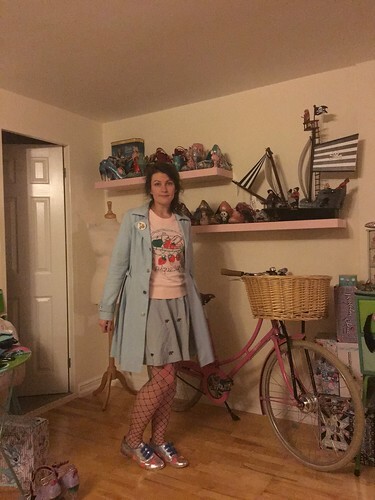 The blue fishnets (again, I know!) 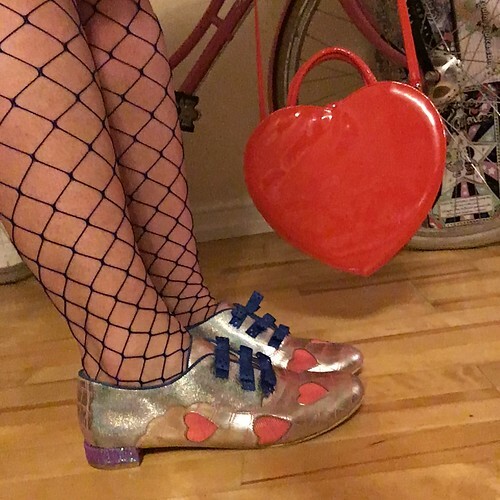 to pick out their blue bows, and this heart shaped handbag to go with the mesh hearts across the shoes. I've always been one to wear my heart on my sleeve, in some respects. Figuratively, of course. I'll fight for what I believe in, to the end and I'm not afraid to speak my mind, even if that gets me into bother. And yet, there are certain situations where I should probably speak my mind a little more, on emotional matters anyway. Because sometimes people don't know the things you assume they know. Anyhow. 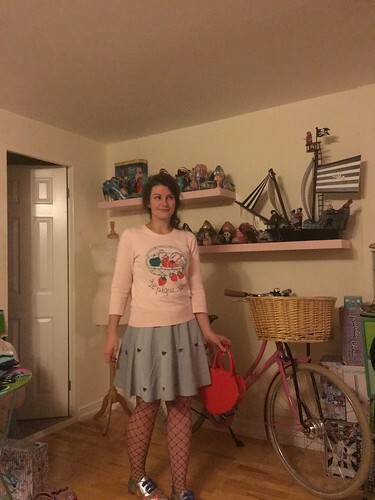 Less of the DMC; I dug out this Book of Deer skirt, last worn here, and the recent Joanie picnic jumper, as I often find I'm cold in the cinema. After a weekend of wearing shorts and either walking boots or wellies, it felt nice to get back to my kind of normality..
Love this trench coat and the bag is so cute!